The builders are making progress on the temple, and at the same time, the Buddha images are being prepared. 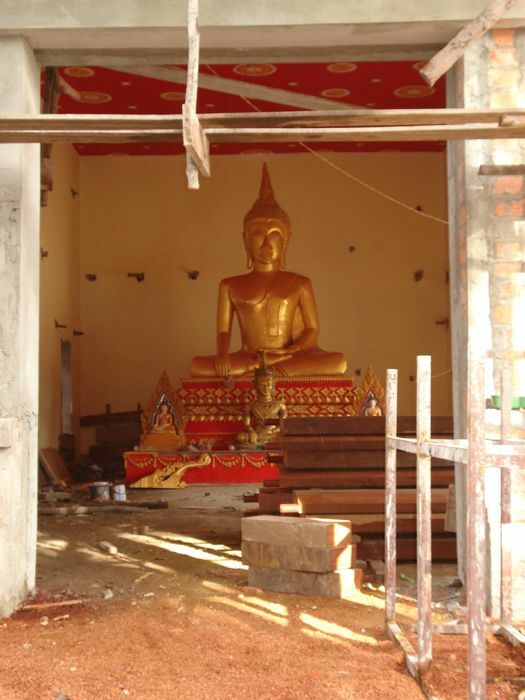 This is the original Buddha image, which has not been moved during all the construction, but it's being repainted and other Buddha images are being moved into the building. It's been raining on and off over the past weeks. I woke up this morning to the rumble of thunderstorms. I see people looking nervously at the sky, wondering how hard it's going to rain here.